Travelling all the way from deepest darkest Poole, vibrant oranges and yellows will chase away the blues. Without a shred of a doubt, bad moods will be toast! 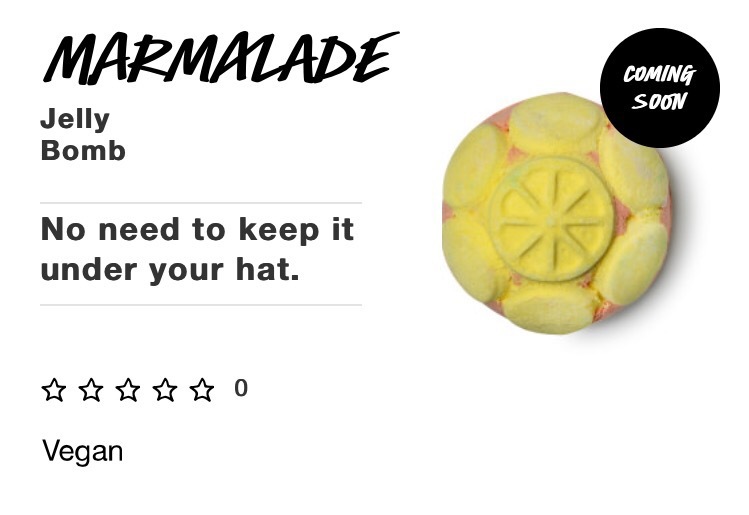 Finally, Marmalade is an orange lovers dream, packed with citrus to brighten the skin, this zesty Jelly Bomb contains an uplifting orange scented jelly and dehydrated orange pieces – just like bathing in a big jar of vibrant marmalade! 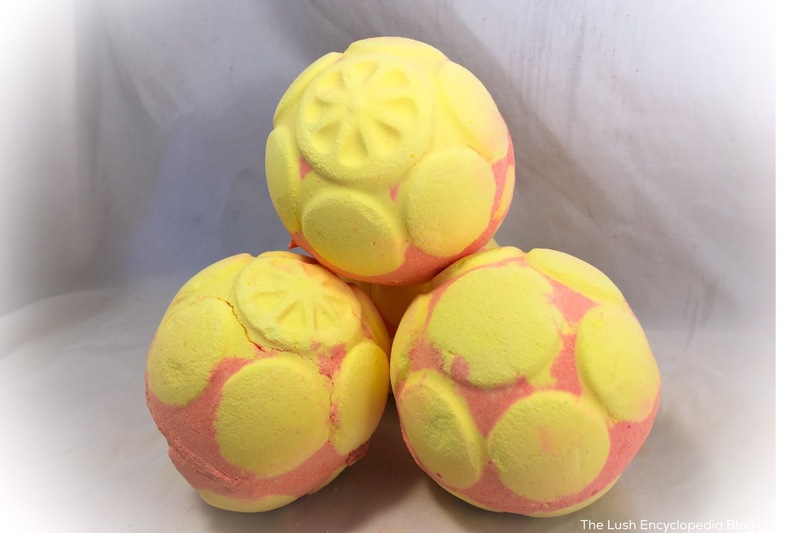 Juicy grapefruit oil, Brazilian orange oil and orange flower absolute burst from this Jelly Bomb, creating refreshing citrus waters. Lie back and bask in this sunny, feel-good bath. Posted on July 19, 2017 by Lushalot	• This entry was posted in Uncategorized. Bookmark the permalink.